What are my job responsibilities? Oversees and manages end-to-end Onboarding process and day 1 readiness for new hires. Oversees and manages end-to-end Internship process. Oversees and manages end-to-end delegation process . Handles employment passes applications, renewals and cancellations for employees. Perform operational duties required to keep the process running without error or negative impact. Ensures that processes in your area of responsibility are in compliant with Siemens internal regulation as well as any external regulations, if applicable. Participates and contributes to the successful implementation of all Carve-in and carve-out projects in adherence to applicable employment regulations. Participates in HR Process Improvement / optimization initiatives and projects. Other ad-hoc duties as assigned by manager. At least 3 - 4 years of experiences in Human Resources and has previously worked in a MNC environment. High level of creativity, perseverance and openness to change. Solid time management, multi-tasking skills, and attention to detail. Has the courage to speak up. A welcoming and helpful attitude. Has knowledge in employment and immigration regulations. RPDM is responsible for technical sales and order capture for AGT advance business (large or complex M U and revamps, service programs), coordination of scope and content of proposals and quotations, defines project strategy, integrates multiple product line offerings and localized content, and conducts negotiations in coordination with the Product Line (PL) location responsible for the unit and in coordination with the Regional/RC sales head. He will also support Standard Business for the AGT PL. Incorporates Miller Heiman Strategic Selling Strategies in all sales activities. Initiates the LoA (Limits of Authority) Management process for advanced business in accordance with Gas Power global policies. Develops executive summary to elevate/ facilitate LoA approval. Supports initiatives and opportunities as required. • Perform routine maintenance servicing, upgrading and enhancement activities of our system (Building automation system) at client premises. • Attending to break down calls and rectify fault complaints from customers. • Troubleshoots and analyses total system requirements and performs tests and analysis on system components. with small rectification projects at various sites. • Knowledge on how to size the BMS system components base on customer's requirements. 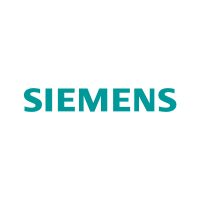 Siemens is recruiting a Project Manager (PM) for Modernization and Upgrades (Mods Ups) in the Singapore office. As a Project Manager, the ideal candidate will have experience in the engineering, project management or services side of the business with experience in Oil and gas or power generation industry. The role will be a high profile role within the organization supporting global customers. be the focal point which will require a high level of interaction and communication with both internal and external stakeholders to ensure a successful project delivery. The Project Manager shall ensure that the cost and margins on projects are met, that risks and opportunities during the execution phase are optimized, and that the financial reporting of projects complies with Siemens Financial Reporting. The Project Manager will present and support project and financials reviews on a monthly basis. Over the past few years, our aero-derivative turbine business has successfully grown to be a $1 billion per annum global business by focusing on the supply and support of aero-derivative gas turbine packages and equipment to the global oil gas and power generation markets. The business has supplied over 4,000 gas turbines to customers in over 80 countries accumulating over 200 million hours of operating experience. It is our vision to be the customers' first choice for distributed power generation and compression systems solutions. Manage complex global projects throughout the project life cycle; which includes agreeing targets and work packages with project staff and delegate defined work packages, provide technical solution, integration of all systems, execution of site activities, managing acceptance tests and final project handover. Ensure compliance to standards, rules and regulations. Set necessary measures to ensure zero harm policy in environment, health and safety, set up framework to regularly check compliance of in projects and with subcontractors. Responsible for the project team. Guide, support, motivate and developed team members to achieve project / organization goals. Develops and guides project/program solution plans for complex projects or programs. Implements technical projects or programs. Guides the project/program management role (definition of schedule, budget, risk, change, opportunity and resource allocation management) for complex projects or programs. Guides continuous improvement plans and project/program expansion opportunities. Ensure correct assignment and monitoring of cost. Prepare commercial information for regular project reporting/project status discussions/milestone reviews (deadlines, costs, quality, cash collection). Support preparing budgets and forecast for projects (e.g. Order Entry, Revenue, Gross Margin). Identifying and financially assessing opportunities and risks, defining suitable measures for reducing risks or realizing opportunities and taking precautions for remaining risks. Ability to analyze information and provide reports and feedback to project team members and management. Strong Ability to communicate / work with international teams across different countries and cultures. Ability to identify risks and issues early that affect margin and schedule. Resolves issues and escalates as required. If you really want to make a difference – make it with us! leadership with digitalization show-cases and bring its expertise and innovations to the markets in the APAC region. We are forming a passionate group of solution innovators, UX devotees, techies, data scientists/AI experts, software lovers, AR/VR experts, visual artists, and architects, working in a lean startup concept. We strive to solve complex problems in various domains ranging from industry, energy, mobility and buildings to smart cities by applying methods and principles of data analytics, artificial intelligence, simulations, and interactive visualization. We are looking for equally passionate techies to join us in this exciting journey of finding solutions to some non-trivial challenges of the always connected peta-byte world. Integrate IT / cyber security in projects throughout all phases, by working closely with software architects, developers, data scientists, and use case managers. Support customer digitalization projects with technical, innovative, and feasible answers to their security problems. Propose state-of-the-art security architectures for services and solutions aligned to existing and anticipated IT-Security standards and business requirements. Conduct threats risks assessments with customers in order to define optimal security requirements for Siemens systems, solutions, and services in specific deployment scenarios. Must be comfortable working on multiple projects in parallel. Excellent communication skills (written verbal) in English a must. Must be able to present complex technical topics in a clear and structured way and moderate discussions, meetings, and projects with customers. Excellent interpersonal and intercultural skills, ability to collaborate in teams of technical and non-technical experts. Self-motivated and proactive, possessing strong desire to identify and drive value in customer projects• Flexibility and adaptability to work in a dynamic, international team with a strong customer-oriented attitude. Provide review of subcontractor proposals and rectify gaps in savings calculations and scopes of work. Develops measurement, fault detection/diagnostic performance assurance plans and utility monitoring plans. Monitors project performance and provides retro-commissioning and other energy services. Specifies, takes and/or supervises pre- and post- measurements, data logging, and trending of equipment/systems necessary to determine opportunities and verify performance and energy savings. Develops design concepts and other written documentation to sales, management and National Operations concerning recommended FIMS, including accurate descriptions, savings potential, cost estimates and back up data to verify FIMS. Assist in preparation of project financial models including an understanding of Return on investment, life cycle cost analysis and internal rate of return. A subject matter expert on multiple FIMs. Applies building energy simulation programs or MS Excel spreadsheet calculations to determine project energy and operational savings. Participates in client meetings and presentations. Performs utility bill analysis to determine applicable baseline consumption data and rates as well as identify possible utility supply side opportunities. BS or higher in engineering or applicable technical degree. Certification: CEM and Local certifications. Proficient in Microsoft Office suite programs, high level of proficiency in Microsoft Excel. Experience with HVAC systems, building controls, lighting, building envelope, electrical, and domestic water system technologies / design. Experience with data logging equipment and trending capability of building automation systems trending functions. Experience with building modeling programs or spreadsheet energy analyses. Experience with standard ASHRAE energy calculations and IPMVP performance assurance methodologies. Knowledge of common HVAC and electrical building codes. Knowledge of facility and maintenance operations, capital planning, maintenance budgeting and maintenance best practices.